In the (not so) bleak mid-winter. As I write this, my Facebook photography page now has more than 2200 followers which is very humbling. I'm thrilled so many people admire my photography. It is not easy to build a profile like this on Facebook these days, requiring a lot of patience, interaction and acknowledgment of followers comments and questions. My philosophy is that if people take the time to comment or ask questions then they deserve respect, recognition and thanks. From the comments I get, many images invoke quite an emotional response and connection especially to those who are living away from 'home'. In the end, my pleasure is in bringing pleasure to others to the extent that they want to follow my photography feed and it's a lot better to consume, even gorge on, from a health perspective, than junk food (although I have no scientific evidence to support my claim). I was intending to focus on street photography in this update but the not so bleak winter has afforded some great photography opportunities. We have been fortunate that the most glorious summer in decades was followed by a beautiful warm autumn and now a mild winter with some stunning clear, sunny, calm, crisp days, although when it has rained it has really rained. I love the dawn and dusk tones at this time of year. It may be an illusion but they seem to take on richer deeper tones than in the days of summer. I find it quite mesmerising at times. I feel like there is an unseen energy at work, a kind of spiritual thing. The following photo was taken on the coldest morning this year. At the time I took the photo it was a finger tingling toe tapping 2degC, but the cold is bearable when you see what you wouldn't have seen if still tucked up cozily under the duvet. Its undeniably a little hard to get up from a warm bed and venture out early under a dark star splattered sky on a frosty weekend morning with the intention of photographing the first light of the new day. I can say it's much harder after a couple of wines the night before. What drives me (apart from the car)? Well, it's not putting the previous night's wine bottle out in the recycling bin, letting the dog out, or opening the curtains. It sort of includes milking the weekend for all its worth and from a photography perspective it's the anticipation of what may come. Will the new day take to the stage in a blaze of glory? Will I click the shutter button and think 'that's the one!' It's such a wonderful feeling to come away thinking that I got a 'money shot'. Over many years I have climbed to the summit of Mauao (Mount Maunganui) hundreds of times, more than my aching legs would care to remember. At one stage it was 2-3 times a week, but then I had an attack of commonsense and now go up there just once a week, usually at dawn on a weekend morning and taking the steepest route. The weather and the light is always different and the views are truly spectacular. I have been up there in screaming gales, torrential rain, and on the calmest sunniest of days. The torrential rain experiences; well they have been by accident rather than intention; a result of miscalculating the chances of rain. Its a fantastic spot to gorge on sunset. For a few minutes everyone seems transfixed by that beautiful stage show as the sun sinks in the west behind the Kaimai Ranges. I have been there as dusk closes in, when the only sounds have been the distant surf and the call of Morepork owls. It's absolute magic. As previously mentioned, the beauty of a clear, calm, cold winter dawn is in the colours. I always scope the scene for some sort point of interest. Of course I live in hope of a whale breaching, a pod of dolphins or orca, or an alien spacecraft appearing just for me. Well, hope springs eternal. In the following photo as luck would have it, a kayaker seeking a taste of arctic paddling appeared and gave me an added focal point. I have been guilty of not using one of my most expensive and critically acclaimed pieces of camera gear, the superbly built Panasonic Leica DG Nocticron f/1.2 lens. This beautifully engineered lens is primarily designed for portrait and street photography and with a f/1.2 aperture has fantastic light gathering ability in low light situations. I love just looking at it, let alone taking photos with it. As a portrait lens it is sublime. I decided having re-read reviews that I'd use it almost exclusively for a while over a few weeks and test its ability with sunrise and sunset photography. I'm stoked with the fantastic results. I was blown away by just how good it was when I decided to use it for a recent sunrise expedition. Dawn kayaker. Mount Maunganui, NZ. 1/320sec, f/7.1, ISO 200. Olympus O-MD E-M1 & Panasonic Leica DG Nocticron 42.5mm f/1.2 lens. So, it has indeed been a not so bleak winter to date. We are past the winter solstice now and slowly but surely the daylight hours will lengthen and hopefully the power bills will start reducing. I intend to produce a 2017 calendar and am in the process of choosing images for each month. I'm also looking at other options for foisting my photos on the world. Aside from that I'm trying to go dairy free. The good thing is, that it won't preclude me from photographing cows, should I be so inclined. While not 100% obvious (well maybe 99%) obvious, my camera and I are not only an item, but are drawn to the seductive call of coastal locations. I don't think I could ever live far from the coast unless there was a lake or a river nearby. The restless sea is ever changing in its moods, it's sounds, and in the variable light and patterns that fall upon it. Sand, sea water and salt laden air arguably don't do much for camera longevity but they sure provide for endless photo opportunities. It may be that my love of the coast was born of many holidays around Charteris Bay and Lyttelton Harbour, Christchurch when I was a kid, or many days at New Brighton Beach, or Sumner Beach, or holidays at Kaikoura, the Marlborough Sounds, or Nelson. In this country the coast is generally never really far away. As a teenager my home for a few years was a few hundred metres from North Beach in Christchurch. Always loved the distant sound of the surf at the end of our street. I know those dunes could tell a tale or two. I am fortunate to live adjacent to one of the most beautiful coastlines in a country rich in beautiful coastlines. The Bay of Plenty is a climatically favoured region and is a magnet for summer holiday makers. Living here feels like being on holiday. While I enjoy walking the beach camera in hand, I think our dog Toby is in canine ecstasy when let loose on the sands. Being near to black in contrast to the glare of the beach makes for challenging dogtography. I took this photo by having him sit while I stepped backward for some distance, set the camera and gave him the signal to get those little legs pumping. He is running toward me at considerable speed and a 1/1600 shutter speed did a pretty good job of stopping him in his tracks. The coast presents many challenges and many rewards for camera toters. The contrast between sea and sky, the amount of wave action, the amount of available light, glare, salt air, bikini wearers, and the ever present risk of frying camera gear in salt water. Both aperture and shutter speed may need frequent adjustment when faced with capturing or freezing movement such as wave action, adding in surfers or kite surfers, fast moving boats such as surf club inflatables, swimmers, people running, moving vehicles on the beach, gulls, sea mist, noon day sun, sunrise, sunset, stormy weather etc. At times its just magic in its simplicity. Nothing going on in the next photo but I was attracted to the blues, whites, lines and symmetry. Three colours blue. Caloundra, Queensland, Australia. 1/1250sec, f/4, ISO 80. In the high UV days of summer I'm not a fan of toasting on the beach in the noon day sun and the light at that time of day is not as conducive to photography as the warm light at each end of the day. Sunset is my favourite time. The benefit it has over dawn, as much as I like sunrise, is that I don't have to get out of bed for it. The aspect I like about sunset time is not really knowing just what sort a show is about to take to the stage. If there was a TV series called 'Sunsets Got Talent' then some would get the judges 'off the stage' buzzer pretty quickly, while others would get 'the golden buzzer'. Sometimes I wouldn't get the camera out, other times I can't get it up and running fast enough. One aspect that I silently remind myself to do is take time to enjoy watching the sunset rather than photographing it. As someone who may suffer just a touch of seasonal adjustment depression, its always great to move past the winter solstice and the slow but certain increasing daylight hours which will become noticeable by August. Last weekend saw the annual polar plunge held at many beach locations around the country. 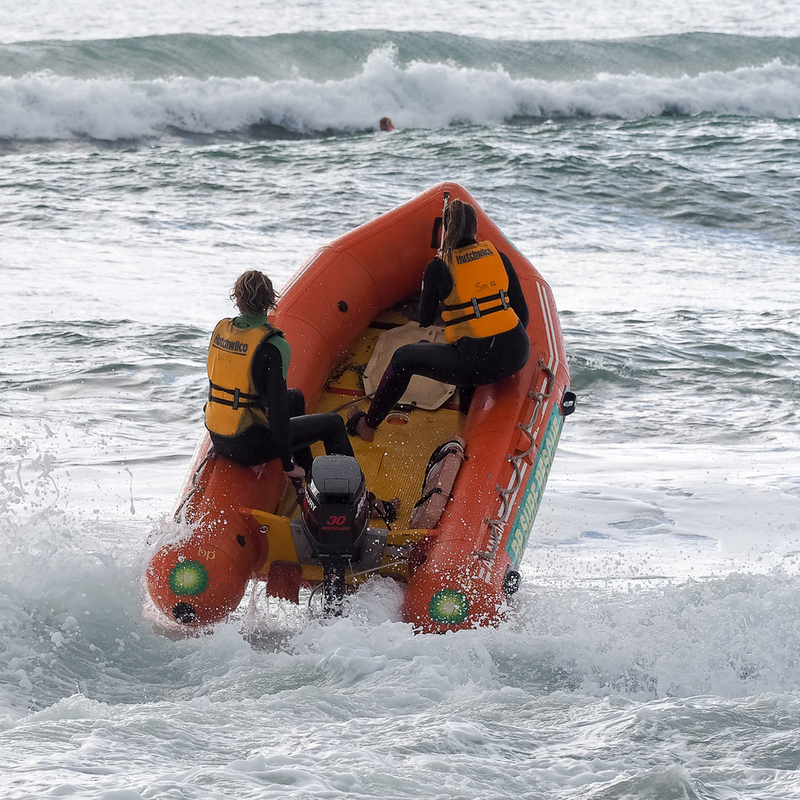 The one below was down the road adjacent to the local surf lifesaving club. A good thing that bronze whaler sharks, a common sight along the coast here in summer move into deeper water. Anyway, some hardy souls celebrated the solstice with a race to immerse themselves in a relatively warm 17C ocean. If you would like to subscribe to future blog posts, send me your email address. Some time back I read about Eastwoodhill Arboretum. Eastwoodhill is about 34km's inland from Gisborne City in Poverty Bay, Eastland. The Arboretum which comprises some 131 hectares, contains the largest collection of northern hemisphere trees growing south of the equator. It is renown for its brilliant autumn colour display. The best time to go is in mid-May but I had to shift the original travel plan back to June. Margie and I set out on a road trip to the east coast last weekend. It is winter so we knew there was a risk of rubbish weather in which case we would have shelved the trip. As it turned out the long weekend weather was glorious. We set off on a 260km road trip under big blue skies. Brunch stop was Ohope Beach in the eastern Bay of Plenty. Ohope holds the AA (Automobile Association) title of New Zealand's most loved beach as voted by members. The drive eastward from Ohope skirts the Ohiwa harbour and the Bay of Plenty coast to Opotiki where it really does start feeling like you are about to enter sparsely populated country. From Opotiki there is a right hand turn towards the Waioeka Gorge. The 144km drive through the Waioeka Gorge on a twisting highway under a cloudless sky is one of the most scenic of road trips through densely forested country and the Raukumara Ranges which separate the Bay of Plenty and Eastland. Waioeka Gorge, Eastern Bay of Plenty, NZ. iPhone 6s. Emerging on the east coast the landscape becomes noticeably different with brown hues replacing the greens. The road snakes down through the foot hills and across flat land towards Poverty Bay and Gisborne, 'the Chardonnay capital'. Bush gives way to sheep and vineyards, or dinner and wine (see photo below). Dinner and wine. Gisborne, the 'Chardonnay Capital' of New Zealand. iPhone 6s. 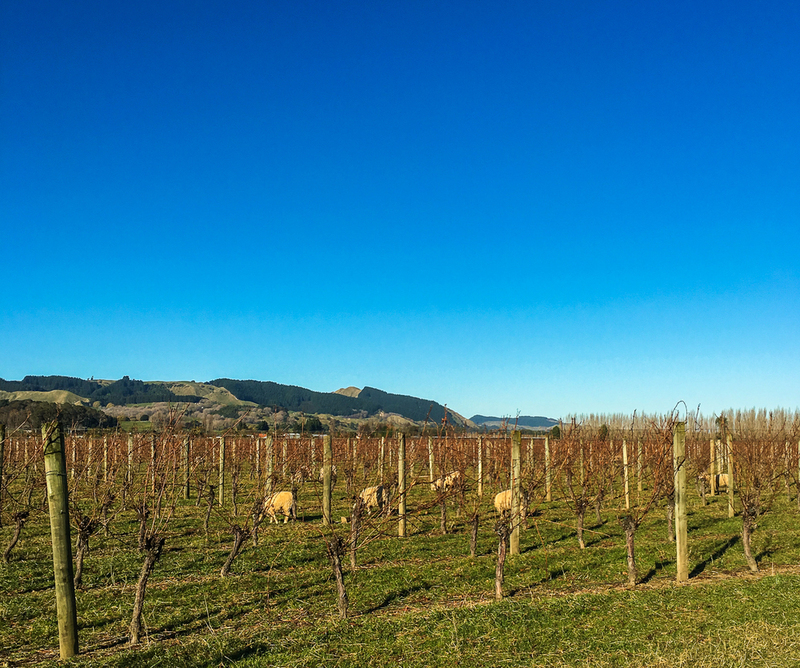 With high sunshine hours and hot summer days, fertile clay loam soils and some of the most acclaimed winemakers in the country, Gisborne is famous for producing exceptional Chardonnay, Gewurztraminer, Viognier, Pinot Gris, Merlot and Malbec (gisbornewine.co.nz). Our accommodation was adjacent to Sponge Bay, about 5kms north of Gisborne. After a few hours in the car we were keen to get out and go for a walk, so walk to Sponge Bay we did. The sun was sinking towards the western horizon and the cliffs were bathed in warm evening light. The so called 'golden hour' is my favourite time to photograph. We seem instinctively drawn to the warmth of the light at sunrise or sunset. Sponge Bay is a sandy/rocky bay and clearly a driftwood magnet. It looked like the tide was fairly well in when I took this photo. After darkness fell I went into Gisborne city to get a few food items and also found a pizza place where the extra large pizza size could easily have provided adequate shelter in a rainstorm for anyone who might feel inclined to balance the pizza on their head, and I guess if it was raining heavily you'd be silly not to (and silly if you did). Honestly, it was the widest pizza I can recall seeing. Next morning I got up before daylight and headed for Wainui Beach hoping to get a nice sunrise photo or two. I wasn't disappointed. It must have been only a couple of degrees C above freezing. My fingers had lost any feeling and I struggled with the camera controls and setting up a tripod. Still perseverance paid off. Mid-morning we drove inland to Eastwoodhill Arboretum. It's a terrific place for families with a myriad of walks for different abilities and great kids play areas. We did get frustrated with lack of directional signage within the arboretum. Would be fine if you were highly skilled at orienteering. We had missed the best colours of autumn but there was still enough to satisfy. From here we drove 12km's further into nowhere to the quite spectacular Rere Falls on the Wharekopai River. Back to Gisborne and a walk along the coast and river and through the city. Gisborne has a laid back quiet feel to it and is very easy to get around. The river walk is beautiful. As the sun slipped towards the west we drove up Kaiti Hill with the intention of doing some sunset photography as well as just soaking up the magnificent panoramic views from Poverty Bay and across the city to the surrounding hills. 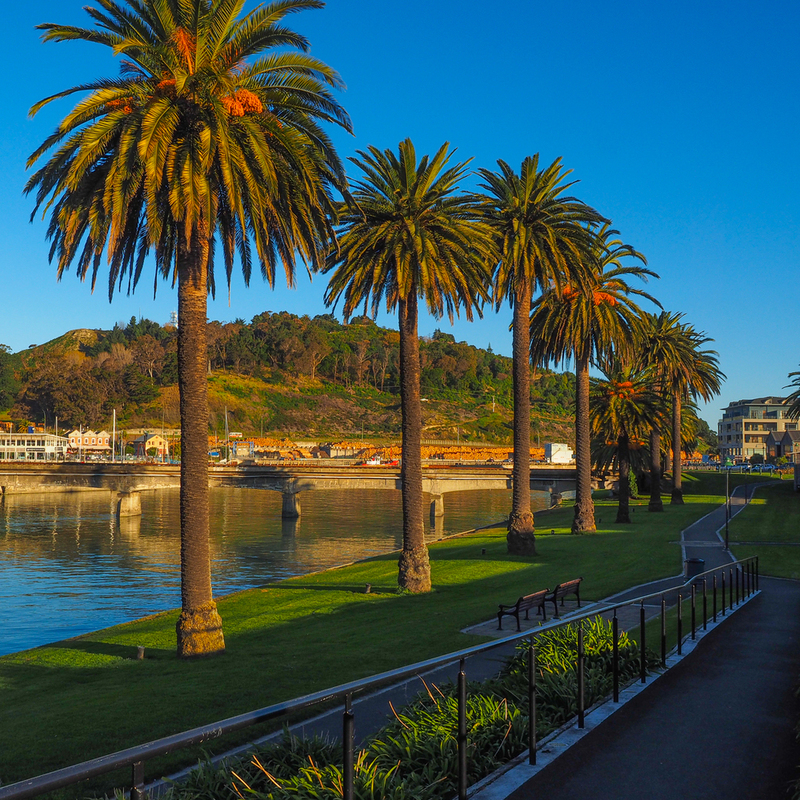 Gisborne has a rich history being the first place British mariner and explorer James Cook stepped ashore in October 1769 having sailed from Tahiti in search of a great land mass or continent in the southern ocean. I guess he found that further west with Australia! Anyway it was in Gisborne that he met local Maori and misunderstandings led to several deaths and no fresh water or provisions were obtained by Cook. Thus he named the area Poverty Bay. It is widely regarded that this interaction between these European visitors and Maori marked the beginnings of the nation. With its its warm sunny climate, fertile land, wineries galore, beautiful beaches and a city with much history and character this is a great destination in a very remote part of the country. The alternative or optional drive up around East Cape to or from Bay of Plenty traverses the most beautiful coastline and is also a must do, but to do it justice it needs to be taken at a leisurely pace over a few more days. You'd have to be pretty miserable not to enjoy this beautiful region in this beautiful country. Poverty Bay? A misnomer.